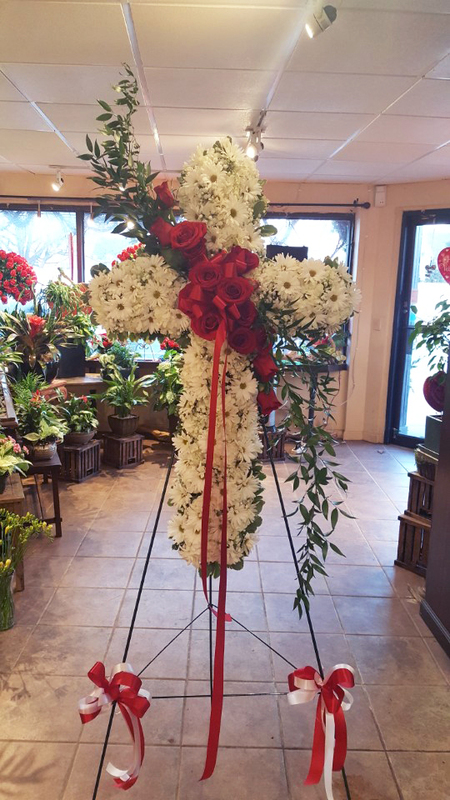 If faith was an important part of their life, our standing cross arrangement is a special way to honor a loved one’s memory. 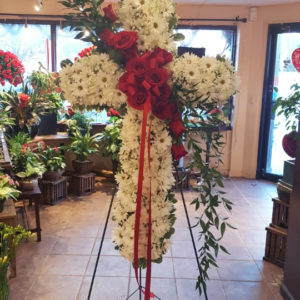 Our expert florists handcraft each of these impressive displays with a bed of white mums in the shape of a cross, and accent with a cascade of red roses. 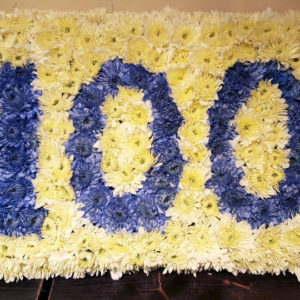 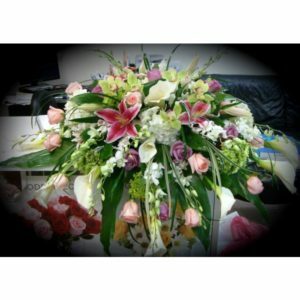 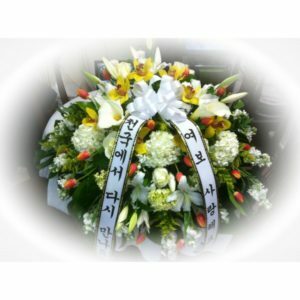 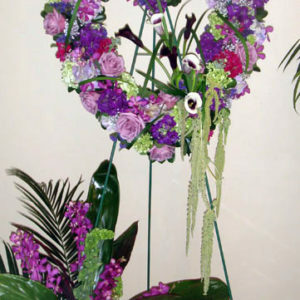 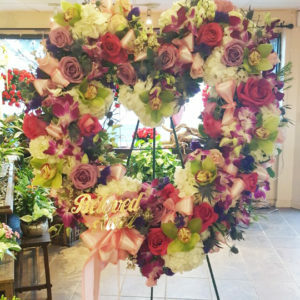 This floral tribute is a beautiful way for family to offer peace and comfort during a difficult time.